Only 11 of 13 labels are shown. Underplayed labels are variations with minor differences. Related links: Banks D.I.H. Ltd. 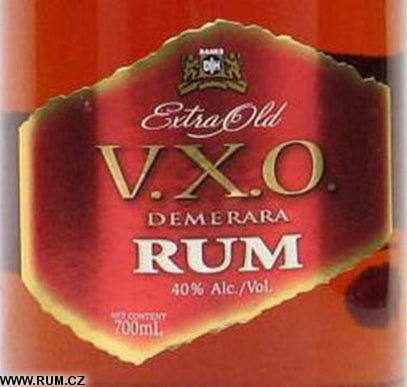 In the 1840's Mr. Jose Gomes D'Aguiar, the founder, started a Rum Business. In 1896 the four sons, Jose Jnr, Manoel, Francisco and John formed the partnership of D'Aguiar Bros. after the death of Mr. J.G. D'Aguiar in 1893. In 1966 the Private Family Company D'Aguiar Bros. Ltd. was converted into a public company, D'Aguiar Bros. (D.I.H.) Limited. In 1969 was D'Aguiar Bros. (DIH) Ltd. merged with Banks Breweries Ltd. into a new company called Banks DIH Limited. 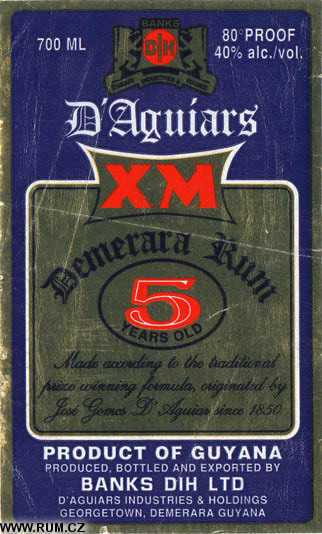 The D'Aguiar Family has been in business in Guyana for over 150 years. 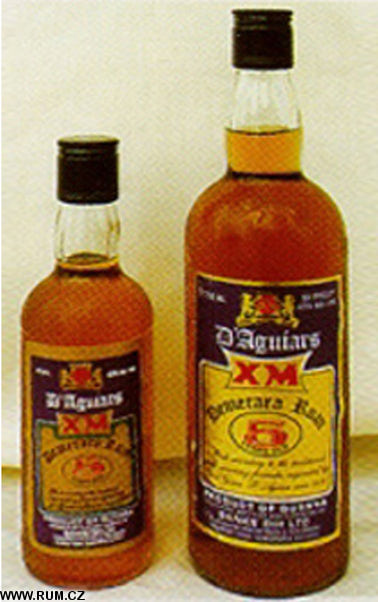 In the 1840's Mr. Jose Gomes D'Aguiar, the founder, started a Rum Business which developed into a chain of Retail Spirit Shops. In 1885 the business was expanded to include a Cocoa and Chocolate Factory and a Schooner Shipping Agency. Mr. Peter Stanislaus D'Aguiar felt, however, that the date of historic importance was in 1896 when the four sons, Jose Jnr, Manoel, Francisco and John formed the partnership of D'Aguiar Bros. after the death of Mr. J.G. D'Aguiar in 1893. 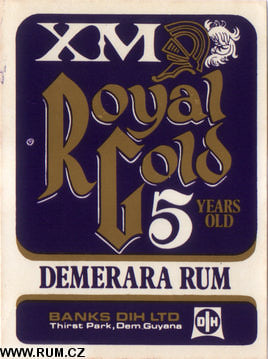 In the same year the brothers purchased the Demerara Ice House which then consisted of a hotel, liquor bars and an aerated soft drink plant. The name 'Ice House' was derived from the fact that ice was imported in schooners from Canada, hence the initials D.I.H. Papers concerning D'Aguiar Bros. dating back to the beginning of the century show that the actual purchase of the old Demerara Ice House was made in October 1896 with the possession effective from November 16 of the same year. The purchase was arranged through the Hon. J.H. de Jonge, auctioneer. The price, $50,000.00, a substantial sum in those days was for buildings only. Eventually, a twenty-one year lease was negotiated from the Crown in whose title all lands were vested in those days. It was not until 1929 that the land was bought outright from the Government. In that year Dr. J.G. 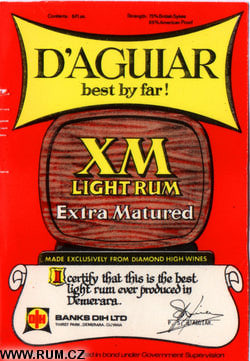 D'Aguiar (Mr. Peter d'Aguiar's father) then the sole proprietor following the death of his brothers, formed the company of D'Aguiar Bros. Limited. Mrs. P.M. D'Aguiar became the principal shareholder on the death of her husband, Dr. J.G. D'Aguiar. The business faltered and was at a point of bankruptcy. She was offered the paltry sum of $100,000.00 for the business as a going concern, but she refused to sell, as she was convinced that her youngest son, Peter D'Aguiar, should be given the opportunity as he appeared to have the business acumen to salvage the company and to build it into a thriving concern. 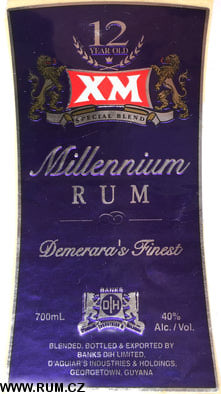 In 1934 at the age of twenty-two, Peter took over as Managing Director of D'Aguiar Bros. Ltd.
Peter concentrated on the manufacturing side, especially soft drinks and rum, he borrowed heavily to re-finance the business. Gradually old debts were paid off and the business began to flourish again. By 1938 he was able to install the most modern machinery in the country. In 1942 Peter acquired the franchise for Pepsi-Cola making British Guiana (as it was named) the first country in South America to bottle this beverage. The popular range of I-Cee flavours was introduced in 1952. 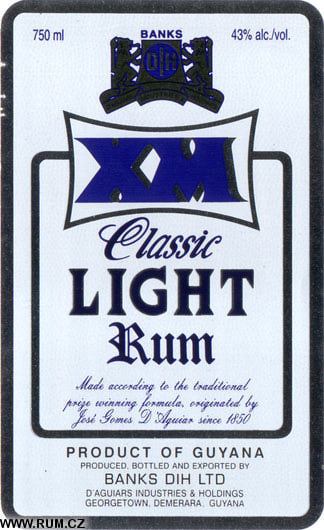 The production of XM Rum was expanded and became the No.1 Rum in 1959. Long before Peter took over, the Cocoa and Chocolate business and the Shipping Agency had been relinquished. The range of interests was still fairly wide and included a soft drink factory, rum bond, bottling plant, liquor store, retail bars, hotel and pawnbrokery most of which had been carried on and centred at D'Aguiar Bros. Ltd. in Brickdam, Stabroek since 1896. In 1955, Peter D'Aguiar promoted Banks Breweries Limited, the first public company with a widespread ownership. In 1966 the Private Family Company (D'Aguiar Bros. Ltd.) was converted into a public company, D'Aguiar Bros. (D.I.H.) Limited with a share capital of $1.0 M (one million dollars). 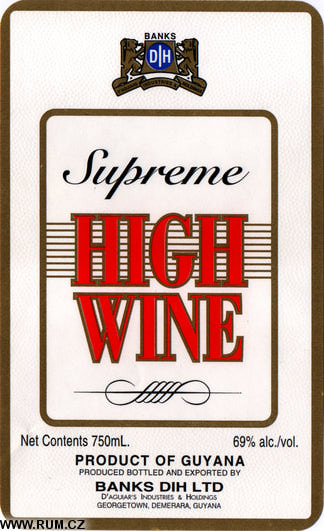 1969 saw the merger of D'Aguiar Bros. (DIH) Ltd. with Banks Breweries Ltd. into a new company called Banks DIH Limited with a Share Capital of $4,140,000.00. The Company's headquarters was moved to Thirst Park where the production complex and the head office, known as the Rotunda, were built in 1969. The cost of the modern complex on 13.2 acres of land designed by a young Polish Architect, Marian Dorr-Dorynek at that time, was valued $7,000,000.00. Since then the number of shareholders increased from 5,000 to 8,500 and employees from 300 to 1,500 with most of the company's regular employees becoming shareholders. On Thursday, 30th March, 1989 at 5.00 a.m., London time, Peter S. D'Aguiar , age 76, died at the London Hospital, England where he had travelled to obtain medical attention. During his tenure of service (1934 - 1989) the company showed a record of rapid development and continued progress and has emerged as one of the most dynamic, efficient and profitable businesses in the Caribbean. Banks DIH Limited is now a multi-billion dollar company and is headed by Mr. Clifford Barrington Reis, CCH, who was appointed Chairman/Managing Director after the death of Mr. Peter S. D'Aguiar thereby heralding the dawn of a new era in the company's history. Undaunted by the magnitude of the added responsibilities, the new Chairman immediately got down to the job of keeping Banks DIH Limited on its chartered course of continued development. Clifford Reis' management style could be described as 'hands-on' and manages through consultation, help and advice from the Directors, Executive Board Members and the Worker Management Participation Board. He believes that business must be done with a sense of urgency and getting quality results are the most important. The business is now very diversified and carries four (4) major divisions viz the Beverage, Demico, Trisco and Caribanks Shipping. 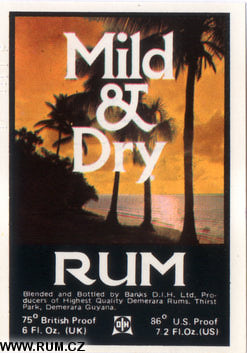 The products within the Beverage Division include Banks Beer, Banks Malta, Banks Milk Stout, Guinness Stout, XM 10 Yr Old Rum, XM 5 Yr Old Rum, XM Light Gold Rum, Banko Wines (red, white) Tropical Mist (pure water), 10 flavours of aerated I-Cee soft drinks, Coca-Cola, Sprite, Fanta, Soda Water, Quinine-tonic and D'Aguiar's Cream Liqueur. The Demico Division comprises of Qik Serv, Idiho, Arapaima, Kitty Qik Serv, a Roof Garden, Bars, Liquor Store, Hotel, Special Events (party Service) Caesar's Palace, an Ice Cream Parlour, New Amsterdam Qik Serv, Arvida Qik Serv. Campsite was built in 1993 and houses Forest Hills, Krystal Dry Cleaners, the Jade Garden Restaurant, The Patisserie, Duty Free Shop, Ultimate Catering Service, Processing Centre. The Trisco Division produces quality biscuits, snacks and cereals for the local and overseas market which include Breakfast Flakes, Rice Crispies, Crackers, Cookies Chocolate Tea Biscuits, Snacks - Cheese and Onion, Salt & Vinegar, Beef flavoured and Spicy Bar-B-Que, Frostee Cream, Pop and Fudge, ice Cream Cone Cups, Luco Tomato Ketchup and Syrups. Caribanks, a subsidiary, has one (1) ship that plies the Guyana and Caribbean Seas transporting the company's products and bringing in materials etc. for the company's diverse operations. Over the past six (6) years, Mr. Clifford B. Reis, has distinguished himself as an astute and competent leader as Chairman and Managing Director of the company. He has been very successful in diversifying the business, motivating his Executives and Employees in their pursuit of excellence and has invested over 3.4 billion dollars in new products and upgrading and replacing machinery, packaging and buildings. The product range carried by the company reaches the homes of all Guyanese as the company has a fleet of over two hundred and seventy vehicles and has branches in Bartica, Berbice, Essequibo, Linden, Parika and Agencies in all three counties. 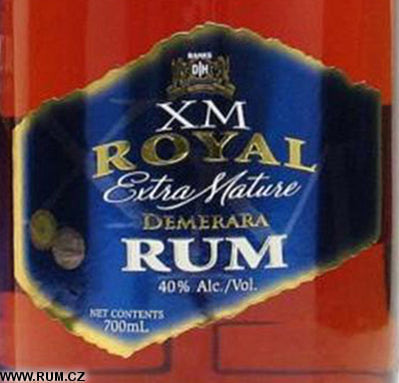 Some of the products are also enjoyed in the Caribbean and further afield. Banks Beer is also produced under franchise in the United States of America and Canada. 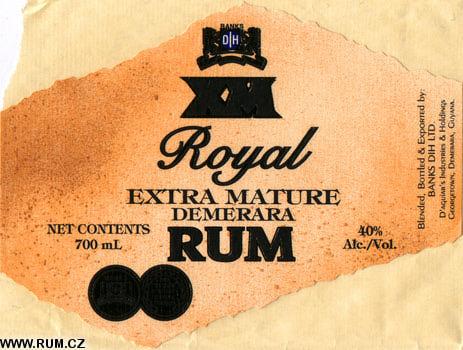 Quality and standards are maintained at a high level as evident in 1979 at the International Wine and Spirits Competition when the company's Rum won three outstanding awards as follows - 1. 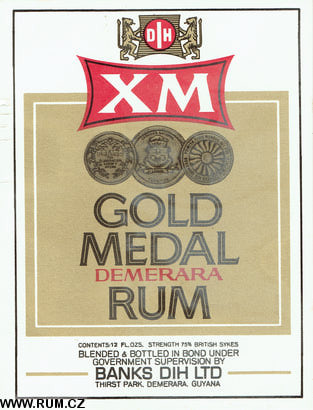 XM Liquid Gold (10 Yr old) won a double gold medal; 2. 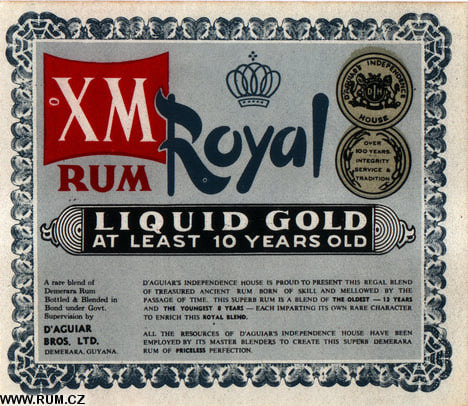 XM Liquid Gold (10 Yr Old) won a bronze award. The Coca-Cola award No 1 position for three consecutive years (1993-1995) as well as being awarded a bronze medal for producing an exceptionally high quality of beer, from the Institute of International Quality in Rome in 1995. Training at all levels is aggressively being pursued and employees are encouraged through Worker Participation and various incentives and benefits to develop their full potential thereby maximising their contribution to the company. The degree of commitment is achieved through the implementation of policies that are fair, non-discriminatory and which provide real opportunities for development. From 1994 to 1995 over $500 M was spent in developing 50 acres of land at Houston for an employees' housing scheme. Seventy (70) houses have been built and sold at cost and are presently occupied by happy employees and their families. The excellent results over the years reflect the benefits from past and present investment. Banks DIH Limited - Essequibo Branch, is located on the western bank of the Essequibo River called Airy Hall, approximately 75 kilometers from Georgetown. The operations of Essequibo Branch started in the 1960's at Onderneeming. The beginnings of this branch started from a rented residence here, and an open yard in Adventure, which served as the Depot and Warehouse. The mode of transportation is through the waterway of Essequibo River by boat, being the primary way to receive stocks from Georgetown. Another is by the ferry service to reach this destination also. Distribution to customers along the Coastline was done by animal drawn carts. On the Transport & Harbours Department's wharf at Adventure, permission was granted to Banks DIH Limited to store their stock "gratis", and freight was only collected for stocks sent. The empties were brought to Georgetown without any charges to the Company. The growth of the business resulted in the acquisition of a property in Adventure. This property was transformed into a Bond/Warehouse, Branch Office and the Manager's residence. This significant improvement was bolstered with the acquisition of two trucks for distribution throughout the Essequibo Coast. The branch's operation started with six members of staff. The branch's operation continued to grow and with the advent of 1970, demanded a staff of nine persons to service an area of approximately 38 ½ miles. Agents were appointed for outlying areas, such as Wakenaam Island, Moruka and the Pomeroon River. By this time, the ferry service became inadequate to supply stocks in time. At this period, a private contractor was hired to ferry stocks from Georgetown to Riverstown Creek on a regular basis. At Riverstown Creek another Bond was constructed. The blossoming of this successful venture greeted the 1980's, where Banks DIH Limited purchased a portion of land at Airy Hall. This was intended for the construction of a wharf on the Essequibo waterfront for ocean-going vessels. The 1990's saw the fruition of a massive complex. In 1991, the Chairman - Mr. Clifford Barrington Reis commissioned a complex comprising a wharf, a massive Warehouse, Vehicle Workshop, Branch Office, and Manager's Residence. The Essequibo Branch now at Airy Hall under one roof, continues to serve the entire Essequibo Coast inclusive of Moruka, Wakenaam and the Pomeroon River, along with its Agents. The Branch now has a total staff of thirty-five persons and a fleet of eight vehicles and a lift truck to continue its excellent service to Essequibo fondly known as the Cinderella County. Banks DIH Limited - Linden Branch is located on the eastern bank of the Demerara River approximately sixty-five miles from Georgetown in a township known as Linden, formerly called Mackenzie. During the 1960's and 1970's Banks DIH Limited supplied their merchandise through two agents to Linden and its outlying areas. The only mode of transportation during this time to the area was through the waterway of the Demerara River by boat to Dutchie Boat Landing in Linden. Later in this era, a two lane highway was constructed between Linden and Georgetown, thus making communication easier and faster. During the 1980's, the town of Linden experienced an economic boom, which saw an increase in activities resulting in increased sales of their products. In March 1990, due to heavy demands for the products, Banks DIH Limited decided to open a branch in this township with a staff of four. The business grew rapidly seeing the erection of a Bond/Warehouse in 1993 in order to be of better service to the area. The community requested that Banks DIH Limited should offer the services of a fast food restaurant to the residents. After careful consideration, a feasibility study was undertaken by Mr. Kenneth De Abreu and his Management team of Demico House. On the 24th July 1994, the Chairman Mr. Clifford Barrington Reis had the pleasure of officially opening the Arvida Qik Serv Restaurant, along with Mr. Kenneth De Abreu and other Senior Executives. Currently, the Arvida Qik Serv Restaurant has a staff of fifteen persons inclusive of two Supervisors, and overlooked by the Manager of the Linden Branch. The Linden Branch now carries a staff of twenty-eight persons. Distribution continues on both Banks of the Demerara River, and with the all-weather roads constructed to the hinterland areas, considerable growth in sales has been achieved. The lumber, bauxite mining and gold mining businesses at Arioma, Kwakwani, Mabura, Butakari and Sherima, to name a few are responsible for the successful operations of the Linden Branch. Agents are appointed for areas as far as Mahdia and Lethem and to some large companies who operate further in the interior locations. Banks DIH Limited - Bartica Branch, is located on the south western bank of the Essequibo River approximately 100 kilometres from Georgetown in a township known as Bartica. 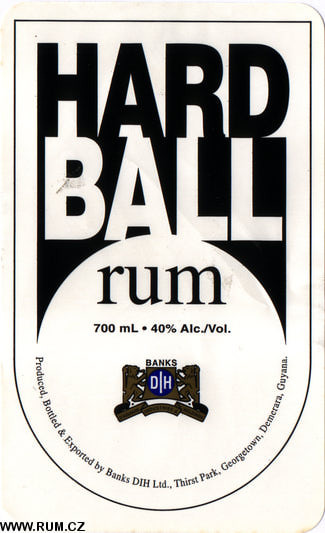 During the early 1960's, Banks DIH Limited supplied their merchandise, primarily rum, beer and soft drinks through an agent in Bartica. One mode of transportation is through the waterway of the Demerara River linking to the Essequibo River to Bartica by boat. Another is by heavy duty vehicles driving through Linden and crossing the Essequibo River by pontoon. Smaller vehicles can use the ferry service to reach this destination also. Banks DIH Limited established its Bartica Branch in 1969 due to the demands for its products which by now has grown considerably. It began its operations with a staff of . For the next five successive years, stock was primarily shipped by the Government Ferry Service to this location. However, due to the increased sales and demands for its product range, the Company had to charter boats to satisfy the needs of this region. Today Banks DIH Limited ship their merchandise through its own Shipping Company - Caribanks . The business continued to grow rapidly resulting in the erection of a new building with modern facilities to house the branch's operations. This new building was commissioned by the Chairman- Mr. Clifford Barrington Reis on 12th September 1997. Currently, the Bartica Branch has a staff of persons inclusive of Supervisors, and its Manager. The distribution of the Company's merchandise, reaches to many locations in the interior primarily the lumber and goldmining areas, and there is tremendous scope for further development. Company's distillery is located in an industrial complex affectionately called "Thirst Park."